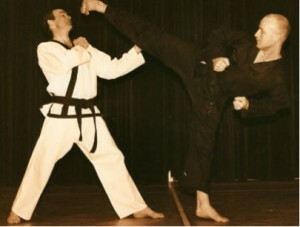 Celebrating over 36 years of learning Boxing, Tae Kwon-do and Kick Boxing, here is a snap shot of my journey through Martial Arts and Combat sports. I first started training in boxing with my cousin in Dublin in 1981. I really enjoyed it, so when I came back to England, I joined the BRONX ABC in Gloucester in 1982. My coach Dave S was fantastic and taught me a great deal about boxing. 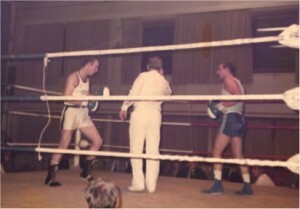 I have competed in many boxing matches which included a fight against the Royal Marines. Whilst I was in the boxing club, my friend Neil Williams was kicking the punch bags using fantastic skills. I asked him where he learnt to do this. It was then that he introduced me to TAE KWON-DO. 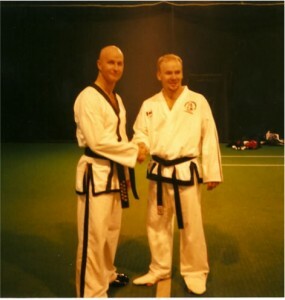 Under Master Clive Harrison (at that time TAGB), I began my relationship with Tae Kwon-Do. 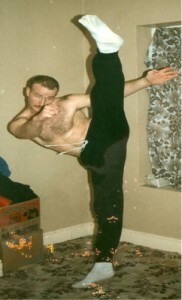 Master Harrison‘s patience and perseverance helped me to improve my flexibility. Without his encouragement, I wouldn’t have continued Tae Kwon-Do, and I will always remain indebted to him for this. 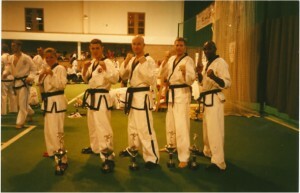 Eventually I became involved in Tae Kwon-Do tournaments whilst I continued to coach boxing. I had a very good fight career. In my colour belt days I fought in Irish, English, Welsh and Scottish championships and won the gold medal in each championship over the years. 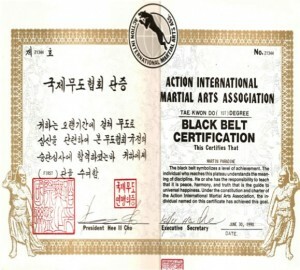 In 1990 I got my Black Belt under Grand Master Hee IL Cho. Then I converted my spare bedroom into a training area and worked hard towards my 2nd Dan. I used to train 3 to 4 hours a day, 7 days a week. The spell between 1990-1992 was one of the most important parts of my life. I became a dad of two daughters (Danielle and Sianah). 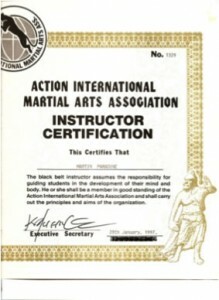 I trained hard during this period and got my 2nd Dan in 1992 under Grand Master Hee IL Cho. In 1993 I qualified to become a MADEC (Martial Art Development Commission) coach and I also became a qualified coach for BAWLA (British Amateur Weight Lifting Association). 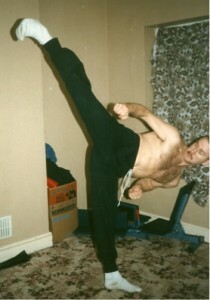 It was then that I started to get more seriously into Kick Boxing training. 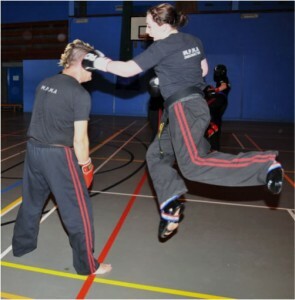 I began to combine my boxing and kicking together. 1994 was another very memorable year of great happiness as my 3rd daughter (Samantha) was born. 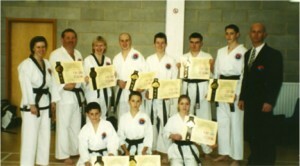 In the same year I opened my first Tae Kwon-Do Club in Evesham with my old friend George Byrne. He was my training partner for five years. 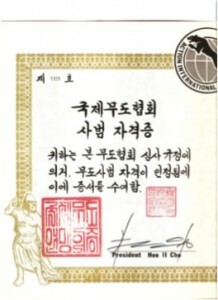 The following year I achieved my 3rd Dan in Los –Angeles, under Korean Masters. It was also the time that I became involved with the ITU (International Tae Kwon-Do Union). 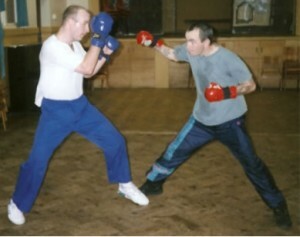 I opened another club in 1995, with Keith Matthews (an excellent Instructor) in Bishops Cleeve. We did lots of tournament training at this club and we fought ITU and UTAW tournaments with great success. Keith and I were invited to Chicago to do some demonstrations and open several clubs. At the same time I went to Los- Angeles to train with Grand Master Cho. 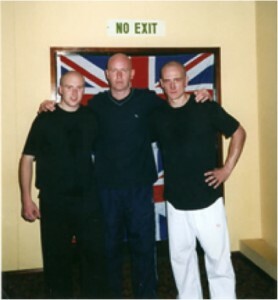 After coming back to England I learnt to organise, run and referee Tournaments from Master Kalcutt (6th Dan) and Mr. Steve Hall (5th Dan).This was also the year that I and Kevin Mustoe (from Ju-Jitsu) wrote “Hands Off”, a syllabus and guide in self defence. This was used for many years by all us. I got my 4th Dan under Master Tony Manning, Master Bhupinder Sahota and Master Tony Massey. I became a registered instructor under Grand Master Cho, and received an Appreciation Award from him for my work towards Tae Kwon-Do. 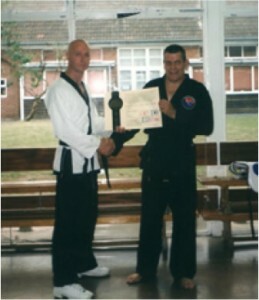 Mr. Hay achieved his black Belt under Grand Master Cho in 1997. 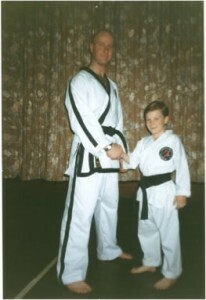 He was my first youngest Black Belt. 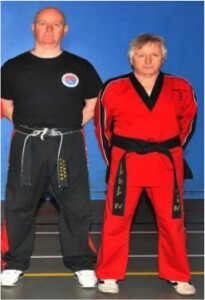 In the same year Mr. Sekulic (4th Dan) got his Black Belt and became my best friend. In 1998 I asked some of the best fighters I knew to help me form a Black Belt team to compete in the British Black Belt Team Championship. We came second to the Canadian National Team who were on their way to the TAGB World Championship. Whilst fighting myself, I started to train Full Contact Fighters. My first fighter was Simon Warren. 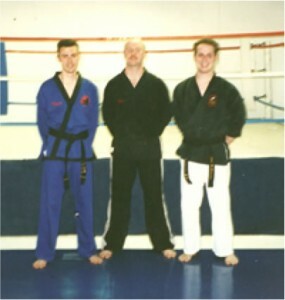 Within a few months, I trained two more fighters Gerry Beirne and Chris Powell and they turned out to be excellent Black Belts in 2001. In 2000, I was inducted to the Martial Art Hall Of Fame by WUMA and this was presented by the King of Nepal. Within the next few years some of my students got their Black Belts in Tae Kwon-Do and Kick Boxing. 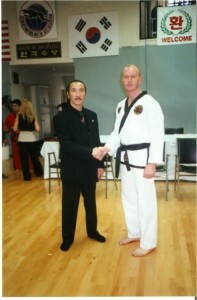 In 2002 I started to train Mr. Hay for Grand Master Cho’s world championship in 2004. He went on to win two gold medals. He had to fight against adults at the age of 16 and to this date is the most talented fighter I have trained. 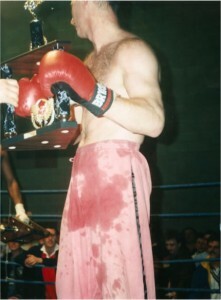 In 2003 I retired from full contact fighting after thirty four fights. For the next six years I was busy teaching and developing Martin Paradine Tae Kwon-Do. During this period I was also involved in helping other clubs to develop their syllabus, tournament training and grading systems. A few of my students achieved their Black Belts and some achieved their 2nd and 4th Dan in Tae Kwon-Do and Kick Boxing. 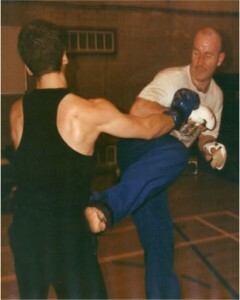 In 2009 I and Mr. John Colwell (2nd Dan) opened a Boxing club in Tewkesbury and a Kick Boxing Club the year after. I expanded my teaching to other areas of Martial Arts and renamed my club as MPMA (Martin Paradine Martial Arts). 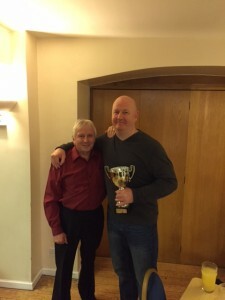 This year Mr.John Colwell and I won the WUMA World Championship in Self Defence. In the same tournament Ed Sekulic and Ellie Clay won the Senior Patterns div. and Joe Babbage and Kiran Chakraborty won medals in the Junior div. 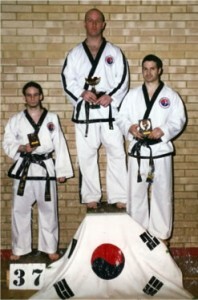 On 11th April 2010 a group of young students (Joe Babbage, Cian Campbell and Kiran Chakraborty) achieved their black belts. Kiran is my youngest black belt after Mr. Hay . 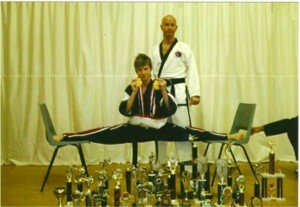 Ellie Clay also achieved her 2nd Dan at the age of 17 at this time. She is one of my top fighters, who fought many Point Stop, Continuous and Full Contact fights in the ring and wining many medals. 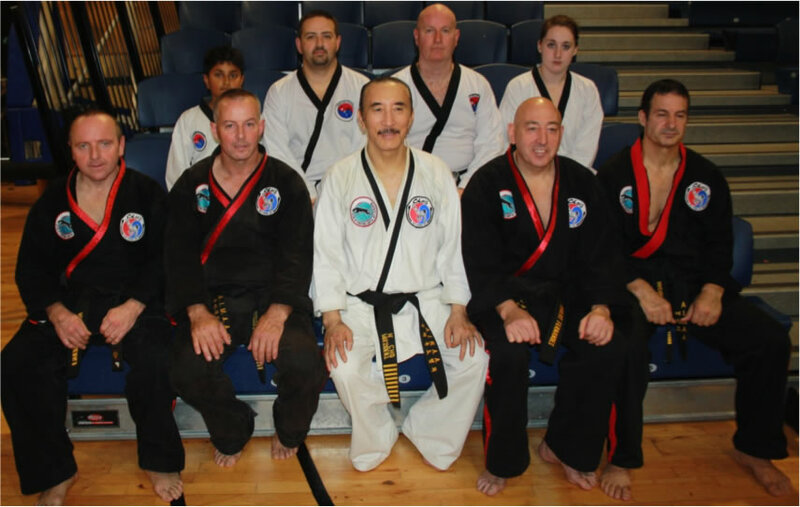 In 2011 another two young students achieved their black belts- (Lucy Topham and Joshua Duffield) and in September I took 3 of my black belt students to attend Grand Master Cho’s international seminar in Dublin. It was great to see a few Masters and peers that I trained with during my 30 years in Tae Kwon-Do. Over the years many people have helped me – I would like to thank everyone and especially Mr. Andrew Champion. Between 2011 and 2013, alongside training for my 6th Dan Grading I was also involved in many projects one of which was building the Tewkesbury School Boxing Academy. In May of 2013 I took my 6th Dan grading at Master Bonthuys Martial Arts World in Andover, Hampshire. This grading panel was headed up by Grand Master Hopwood with the rest of the panel consisting of Master Harrison, Master Johnny Black, Master Kalcutt and Master Bonthuys. A great honour was bestowed upon me the following year where I was invited to join this panel of judges. It was fantastic to be part of this panel and I enjoyed seeing the high quality of students grading. Awarding Mr Sekulic his 5th Dan Black belt. 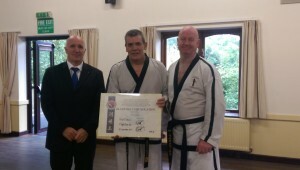 My longest serving student Mr Sekulic was awarded his 5th Dan black belt. 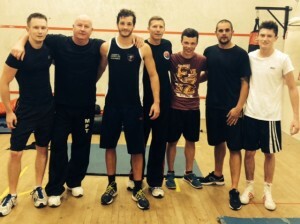 It has been a pleasure to teach and train with him over what is nearly 25 years and going strong. Preparing the venture that has become Empire Martial Arts and Boxing with the venue having it’s open day on 5th December 2015. 30 year anniversary of joining and becoming Master Harrison’s student.